Sometimes I find it hard to write a review about an album that affects me deeply. In these moments I note again that it's almost impossible to put these emotions into words. And how can I describe the amazing craftsmanship, talent and dedication of the band without using the usual empty phrases? That's exactly how I feel about 'Manzanita', which is the fourth album of San Francisco's ASSEMBLE HEAD IN SUNBURST SOUND. Basically the entire record continues to floor me with nine songs that are all unbelievably beautiful, haunting and soothing. The band delivers a powerful emotional performance that really touches the depths of my heart. In doing this, they make use of varied influences, ranging from 1960's pop, West Coast rock, blues and soul to heavy rock. From it comes a mixture which is always psychedelic and considerably more complex then my vague musical description. Like the best bands today, rather than imitate this creative period, ASSEMBLE HEAD IN SUNBURST SOUND filter and play and alter their influences into their own reality. The luscious, bittersweet melodies never let up for one second while all the songs are carefully arranged and crisply performed. The instrumentation is rich, giving each song its own distinctive nuances and deep, soulful timbre. Added to this are some of the best vocal harmonies I had listen to in a very long times. The reverb effect on the vocals fits perfectly well and reinforces the enraptured, magic atmosphere of 'Mazanita' in an incredibly way. It's always interesting, enjoybale and downright beautiful. Because of the continuous high quality of the album I will not pick out individual tracks. 'Mazanita' is definitely something you must hear as a whole to grasp its timeless beauty and emotional richness. 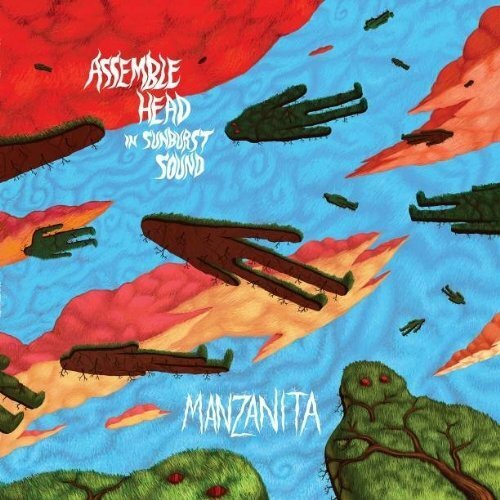 Overall, ASSEMBLE HEAD IN SUNBURST SOUND crafted a brilliantly produced masterpiece which I cannot recommend enough. Absolutely stunning!